Mobile sales tools can help drive sales, increase productivity, and streamline interactions among sales staff, prospects, and customers. By using the right mobile sales tools, your sales team can continuously and consistently meet customer expectations and close deals on the spot anywhere, anytime, and on any device. 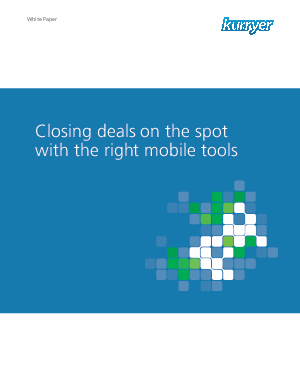 Understand the need for effective mobile sales enablement and the tools to help you close more deals on the spot.